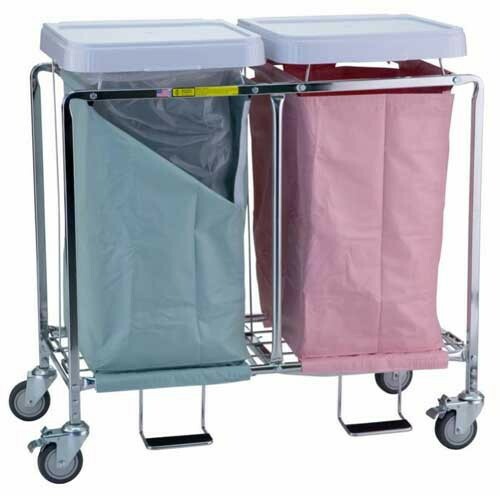 Easy Access Hamper Stand is a wire hamper stand available as either a single, double or triple hospital linen hamper. 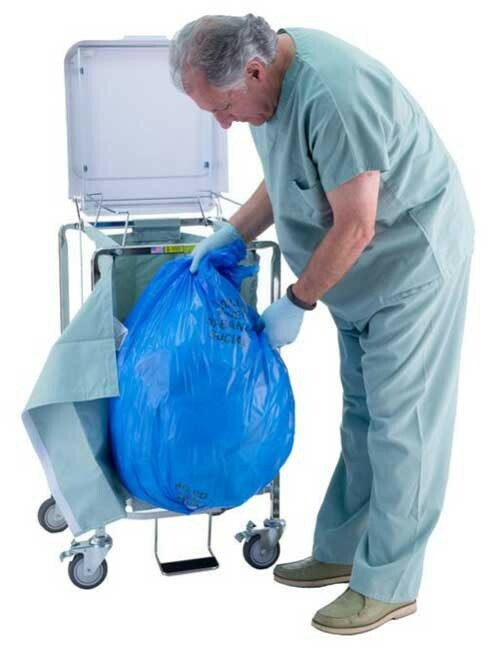 This wire laundry hamper is useful for hospital care, clinical care, nursing home care and homecare. 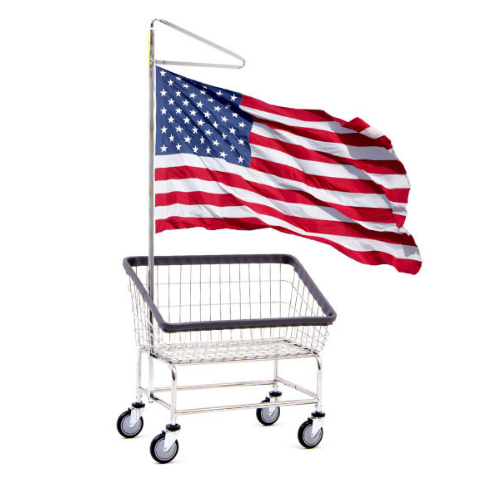 Constructed with 7/8 inch tubular steel, this wire laundry hamper on wheels offers easy front unloading as well as a convenient tear away front panel for easy access. White high impact lids come standard with your purchase. 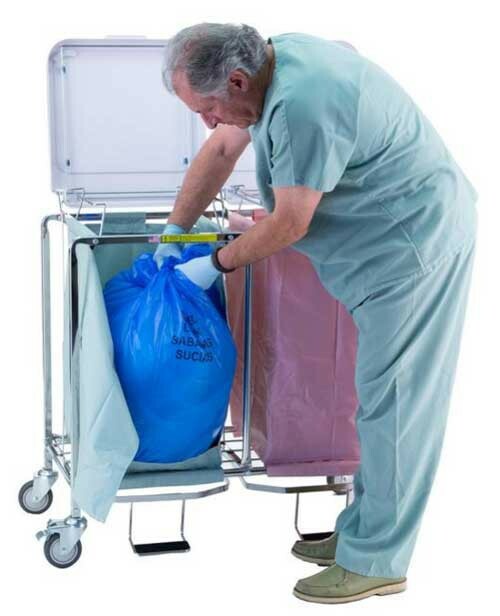 An antimicrobial and flame retardant fabric is guaranteed by the manufacturer for the life of the bag. This deluxe hamper accommodates all R&B poly liners. 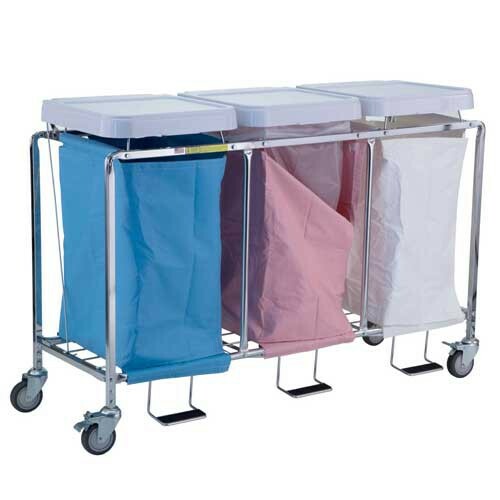 Set on four casters, this wire laundry hamper rolls smoothly and quietly between rooms. Two of the caster wheels are locking to keep the medical laundry hamper in place. R&B Wire products are manufactured in the USA for increased reliability. 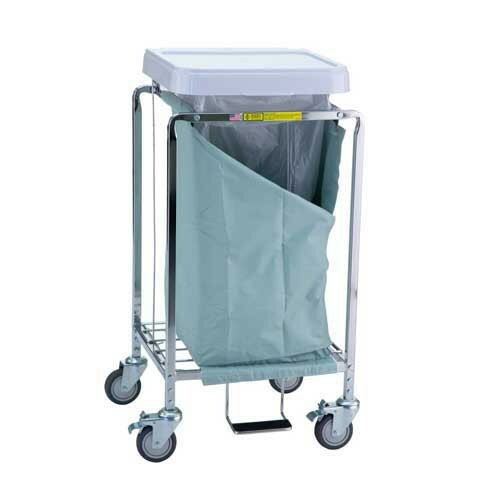 Vitality Medical carries the top selling R&B Wire products including the Economy Linen Hamper Stand, Bulk Laundry Transport Truck, Hospital Laundry Carts, and Hospital Privacy Screens. Wire laundry hamper on wheels. Convenient tear away front panel. Bag locks to secure poly liners in place. 4 inch non-marking quiet-ride casters ensure smooth quiet rolling (two locking casters). Compatible with all R&B disposable poly-liners. With foot pedal activated lid. Material: tubular steel with chrome finish. Two locking caster wheels and two non-locking caster wheels.